headspace has produced fact sheets & other resources designed to inform & support young people on mental health topics. Click on a topic below for more info. 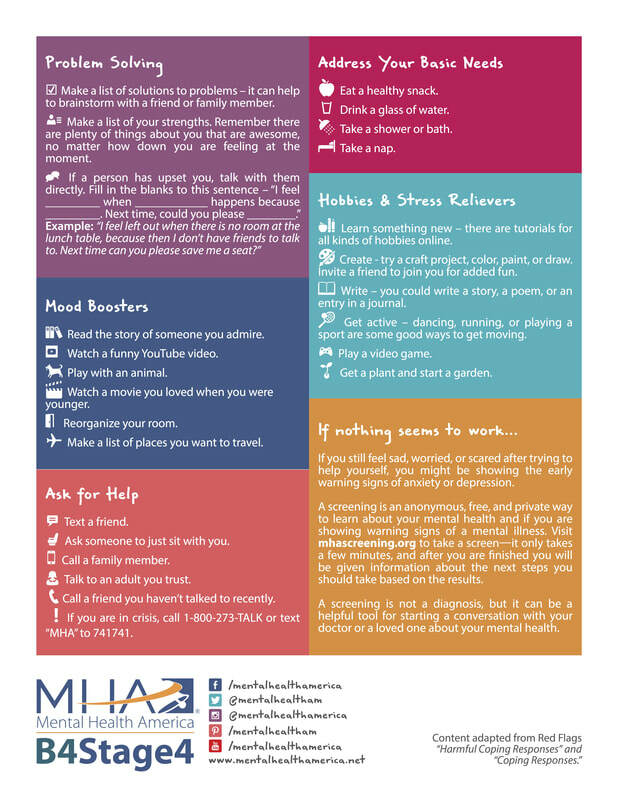 Explore this downloadable handout from Mental Health America's back-to-school toolkit on Helpful vs. Harmful Ways to Manage Emotions. Page 3 of the handout is featured on the right. How do you differentiate stress from anxiety or depression? Dr. Steven Adelsheim, Stanford Psychiatry. Watch his full interview to learn more. Explore the ADAA to better understand the facts of depression, anxiety, & mental illness. 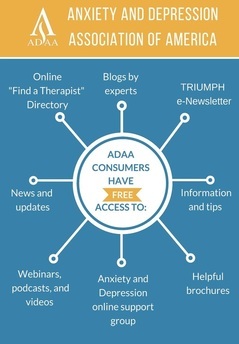 Find help through the ADAA & gain access to tools that will help you thrive. Mental health apps can also be effective tools that make therapy more accessible, efficient, and portable. "The thing I want all teenagers to know is that there are always resources to help." "Your dedication, your compassion, your persistence may ultimately save someone’s life." "By surrounding yourself with positive thoughts, you will begin to think positively as well."